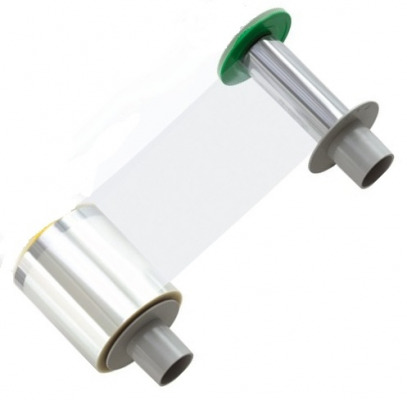 The Fargo 84053 clear transfer film is required for printing in all HDP printers. The image is reverse printed on to the film and then the film is mated with the ID card. This gives a rich clear and lasting card, while allowing for over the edge printing. The Fargo 84053 clear HDP film is for use with the Fargo HDP 5000 ID card printer series. Fargo 84053 clear HDP film is for use with the Fargo HDP 5000 ID card printer series.